Following the successful completion of two projects (supported by a Smart award from the Innovate UK), Arterius has very recently been awarded further funding from the Smart programme to conduct the design, development and validation of a pre-production prototype rig for clinical evaluation of biodegradable stents. 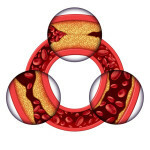 Increasing evidence is demonstrating that next generation biodegradable coronary stents are outperforming traditional permanently implanted drug eluting stents. Only two biodegradable stents are approved for sale within the EU, with several more in development. Manufacturing of polymer stents introduces significant challenges. Biodegradable polymeric stents do not have the necessary material properties to facilitate crimping onto a balloon catheter, expansion, and to provide radial support to the target vessel. Different approaches have been developed to improve the material properties, including blow moulding, annealing and micro braiding. Arterius and University of Bradford have developed the proprietary technique of Die-Drawing to improve the mechanical properties. Excellent results have been obtained with financial support from Innovate UK-SMART Awards for proof of concept research and development, including preclinical assessment. To date, a small-scale R&D die drawing system has been used. Whilst this proved sufficient for preclinical trials, there is now the need for a dedicated novel pre-production prototype die drawing system capable of producing high quality product in a reproducible manner for the manufacture of clinically approved coronary, peripheral, urology and biliary stents. Dr Kadem Al-Lamee, CEO, said “Development funding supported by the Innovate UK through the Smart programme will significantly help the company to stay ahead of the competition and to continue their ongoing collaboration with three universities in the UK (Universities of Bradford, Southampton and Nottingham) in order to complete this ground-breaking research and to commence clinical trials by 2017”.